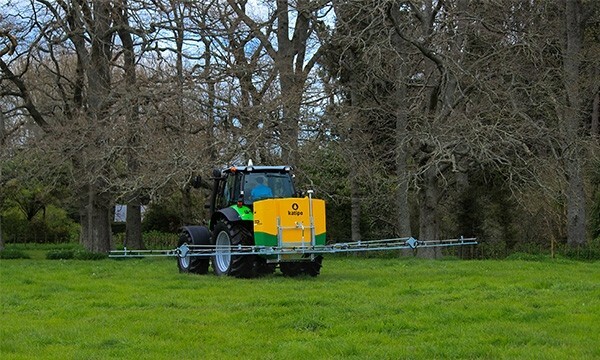 The popular 680 is ideal for smaller farms wanting to complete their own pasture spraying or liquid fertiliser applications and is capable of almost any spraying task. It features the 6-metre DuraBoom, New Zealand’s toughest manual folding boom and enough capacity to cover up to 4.5 hectares per tank load. The 890 pack with the toughest on the market 8 metre DuraBoom and the Unique bi-directional hose reel is our most popular Katipo in the range and is capable of completing virtually any spraying task you have on hand be it fertiliser or general sprays. Cover up to 5.9 Ha with each tank load*. Choose a pack or custom build to order. 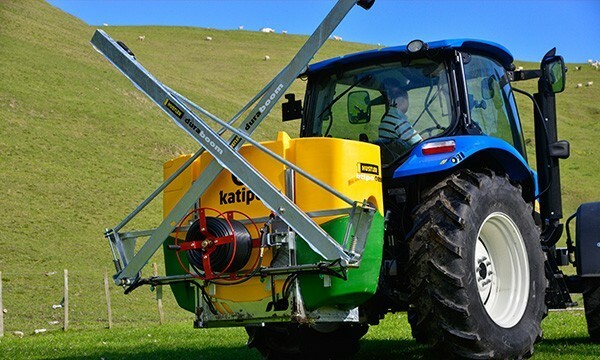 The Katipo 1150 pack with our fully hydraulic 10 or 12 metre SonicBoom is the ultimate for productivity! The SonicBoom lets you get in and out of paddocks quicker without needing to leave the comfort of the tractor seat. The standard 100L QuickFlush tank simplifies cleanup. Cover up to 7.7 Ha with each tank load*. Choose a pack or custom build to order. Massive capacity and built for the large-scale farmer or contractor, the Fox range is tough, has 3 spec levels of booms up to 28m which suit a wide range of applications and flexibility. Combine the Fox with an optional front tank and you get the capacity and manoeuvrability of a self-propelled sprayer at a fraction of the cost.